Post Tagged with: "low fat diet"
‘I wish they’d make up their minds,’ you may find yourself muttering if you don’t follow healthy eating debates all that closely. ‘One moment they tell us to stop eating butter and eggs on pain of having a heart attack and to have marge and no more than an egg a week. On Monday I watched the C4 documentary ‘Food Unwrapped: Diet special’ because I’d been alerted to the fact that it featured Dr David Unwin and his success with the low carb diet as a way of treating diabetics. The Brexit effect – ideological conflicts, bitter disputes over facts, distrust of experts, trolling abuse on twitter– seems an apt description of what has been happening recently in the supposedly evidence-based world of nutrition. Low carb revolt: start of a brave new medical future? Last week the front page of The Times carried a story that was an opening shot in a revolution. I’m sure that the editors didn’t intend it as that and that the readers didn’t see it that way either. 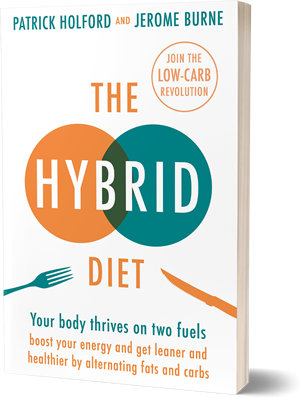 It was a story about shifting from the long recommended low fat diet to one that cut back on carbohydrates instead. Standard fare for the cuddly lifestyle pages, hardly material for social upheaval. How much longer can the charity Diabetes UK continue to provide advice on diet to the UK’s 3.9 million people with type 2 diabetes that is based on the discredited Seven Countries Study carried out by Ancel Keys back in the 1940s? The urgency of this question cannot be overstated. Last month sounds of the slaughtering of sacred nutritional cows could be heard coming from Cape Town International Convention Centre in South Africa – the venue for the first International Summit on low-carb, high-fat (LCHF) diets. Among those forensically dispatched were such perennials of the dietitians’ lexicon as: obesity is simply the result of greed and sloth; calories in equal calories out (CICO, pronounced psycho); saturated fat causes heart disease, and type 2 diabetes is irreversible. If you know anything about nutrition, and especially if you have friends or people in your family with diabetes, you have probably wondered: Why are diabetics advised to follow a low fat diet?